I kind of love Valentine’s Day. Okay, I big, fat, puffy heart Valentine’s Day. There are just so many fun things about it, and one of them is that I can use my heart cookie cutters as much as I want. Nothing is safe–I will cut out anything into the shape of a heart! Isn’t everything cuter like that? 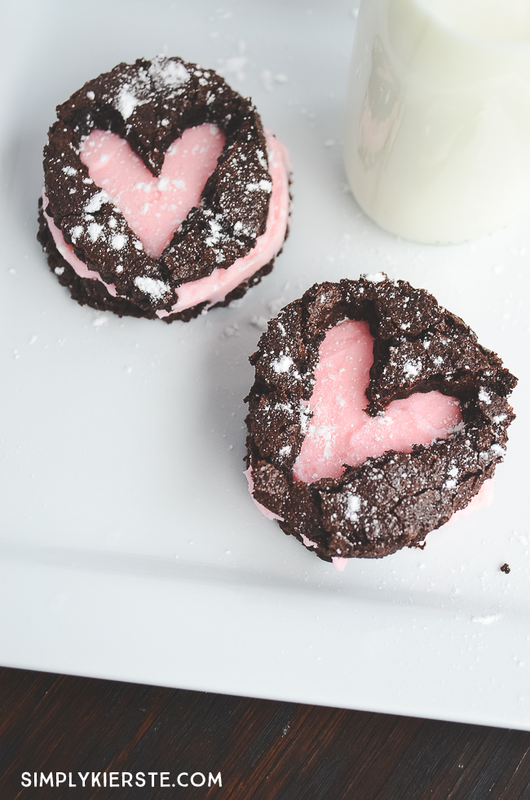 Well, brownies were on the list this week, and I made the most adorable & yummy Layered Heart Brownies you’ve ever seen. I just love easy these were to make, and they look like I slaved all day! 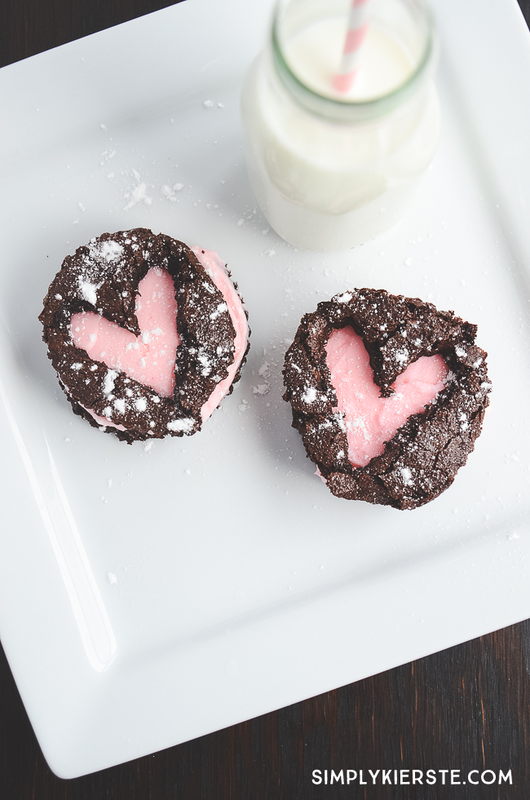 They would be so perfect for any Valentine’s Day party, or for serving to your own cute family on Valentine’s Day. I made a favorite brownie mix (these are gluten-free for my daughter), and instead of the 8×8 pan it called for, I spread it out in a 9×13 pan so they would be thinner for stacking. Once they were baked and cooled (they won’t take as long to bake, so watch them carefully! ), I used a biscuit cutter to cut out as many circles as I could. 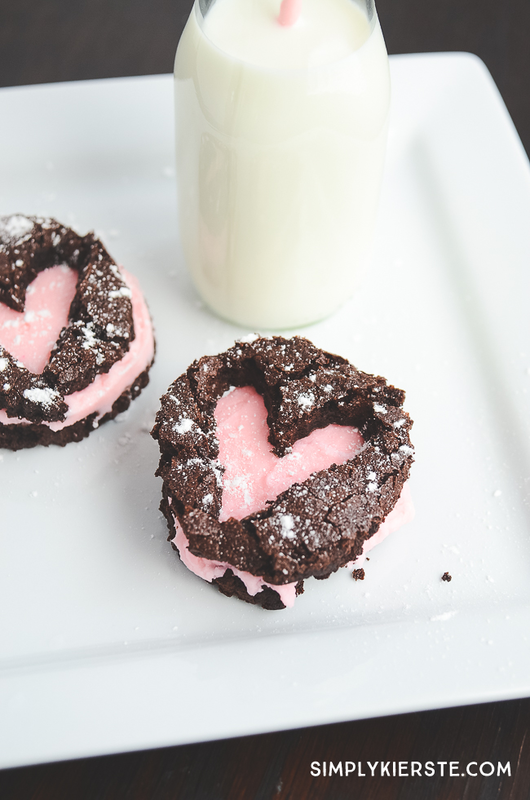 On half of the circles, I used my smaller heart cookie cutter to cut out the middle of the circle. 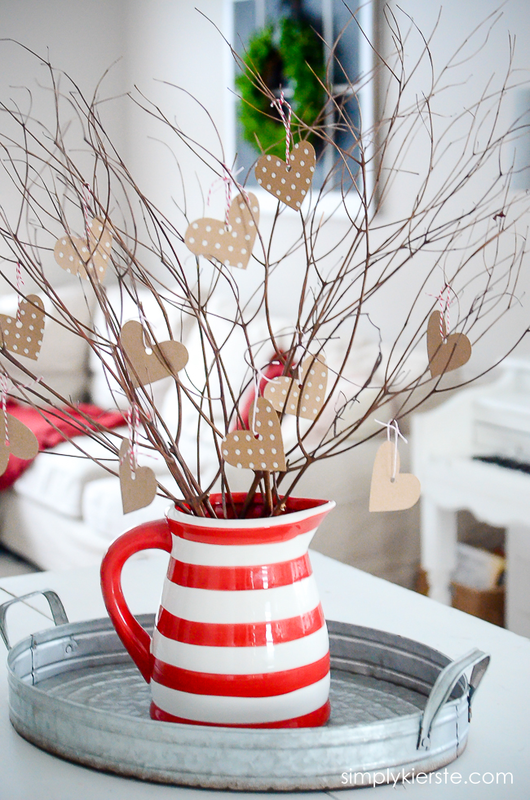 I removed the small heart to use for later–they’re adorable to serve all on their own! I set down a full circle, frosted it, then laid the circle with the heart shape cut out of it right on top. I added a little powdered sugar, and voila! 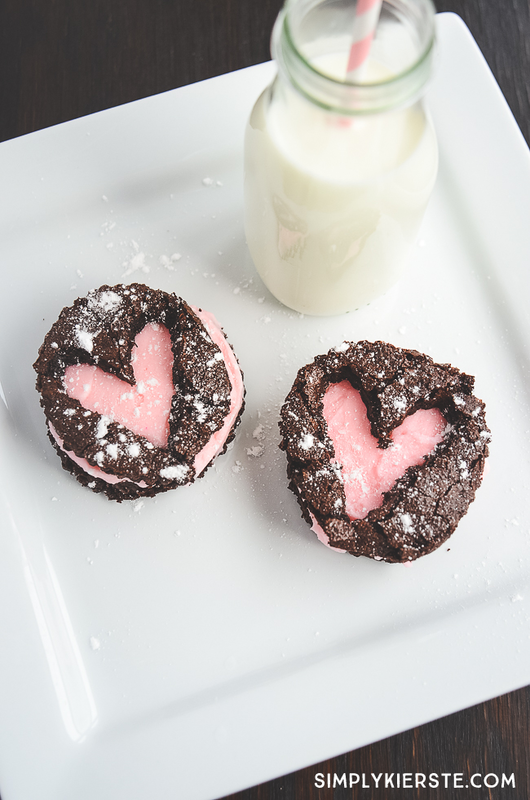 The most adorable Layered Heart Brownies ever!! 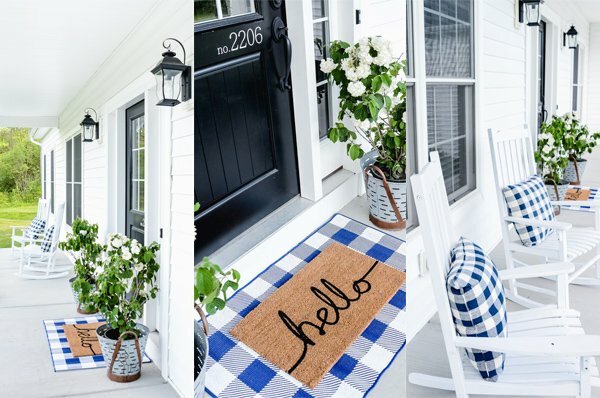 Simple + cute = my favorite! I just love them! Wouldn’t they make adorable gifts too? 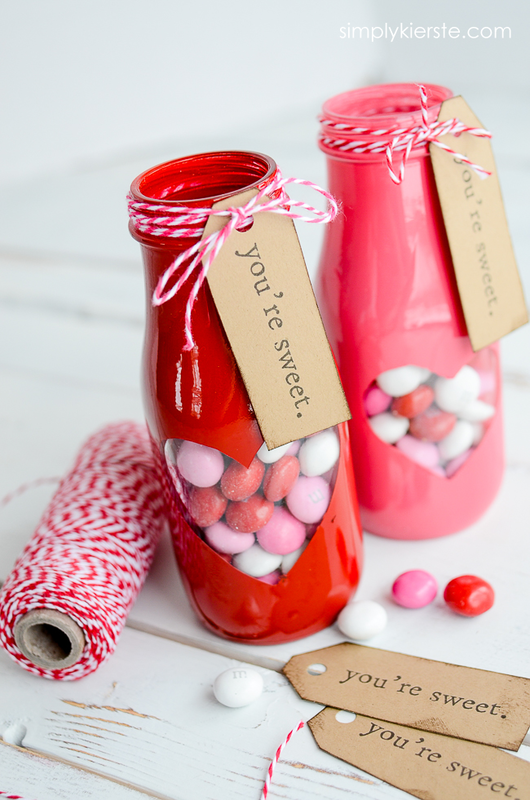 I think even one of these would be so cute wrapped up in clear cellophane and tied with a big bow. 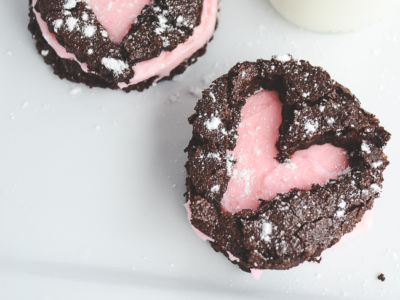 Bake your favorite brownie mix or recipe and bake according to the temperature listed. To make the brownies thinner for stacking, bake them in a larger pan than the recipe calls for, and alter the baking time accordingly. Instead of an 8x8 pan that my brownie mix called for, I used a 9x13 pan, and reduced the baking time by about half, then watched them closely until they were done. Let them cool completely. 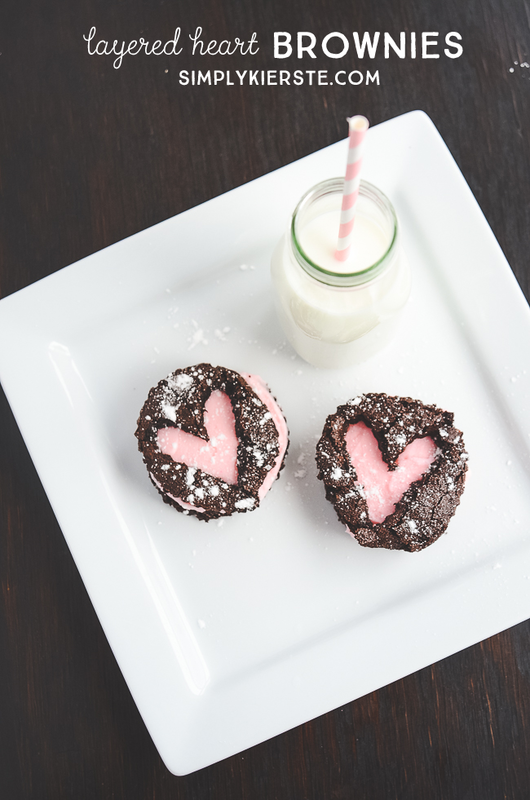 While the brownies are baking, make your frosting by beating the powdered sugar and softened butter together with a mixer. Slowly add the half and half in until you have the right consistency--not too thick, and not too thin. Add the vanilla and salt, and beat well. Add as much food coloring as you want to achieve the right shade of pink. 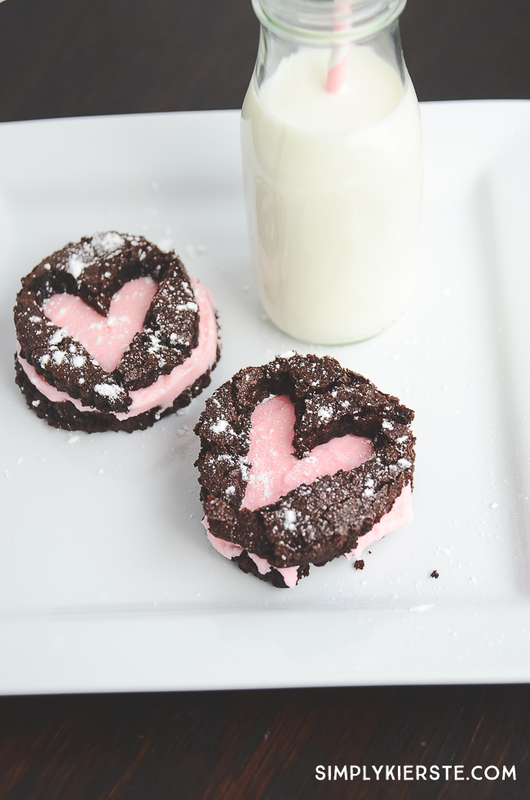 Frost the full circle brownies, then place the brownies with the hearts cut out on top. Sprinkle with powdered sugar! 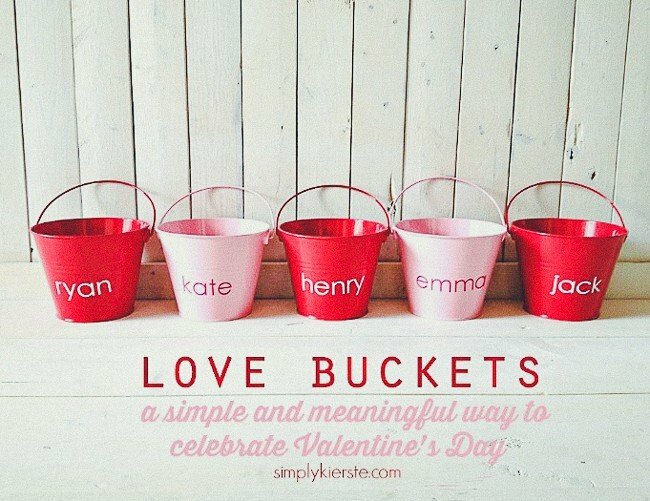 Love Buckets...a meaningful Valentine’s Day traditions for families!